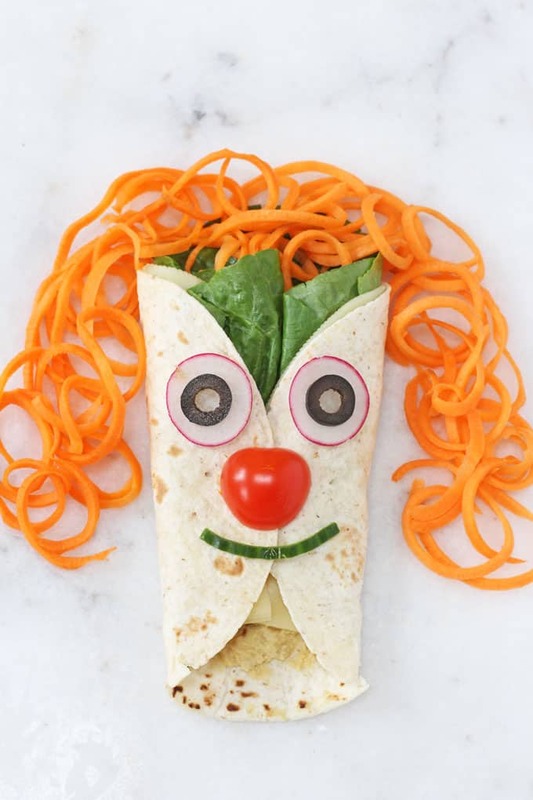 Serve up this delicious healthy and fun Cheese, Veggie & Green Olive Hummus wrap for kids and watch them have a giggle with their lunch! Olives are very much a marmite ingredient for kids…. they either love them or hate them! I really wished my fussy eater loved olives as they make such a brilliant and healthy snack or ingredient for so many dishes. They’re filled with vitamins and anti-oxidants that help to protect cells against diseases and work to keep your child healthy and happy. 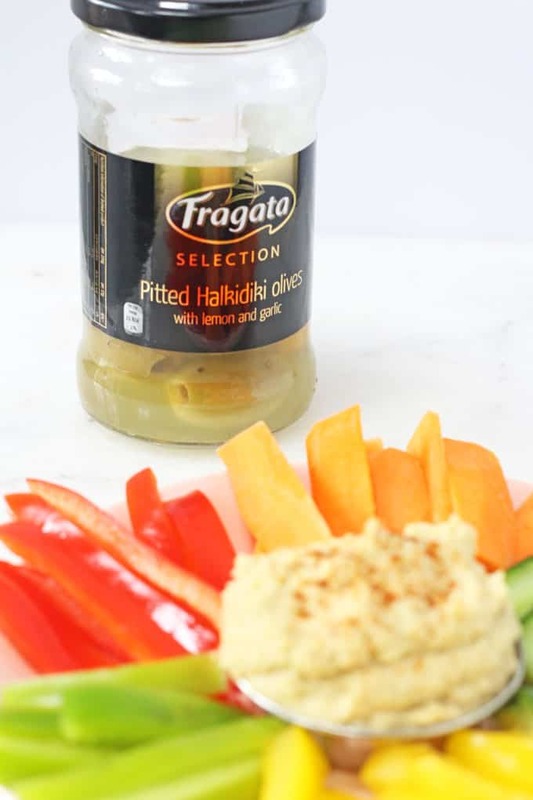 For very young children, Fragata recommend rinsing some of the salty brine off the olive first, chopping them up and offering them as a snack. For those olive haters out there like my fussy eater I’ve come up with a really fun lunch recipe to gently introduce them to the flavour of olives. I used Fragata’s Lemon & Garlic Halkidiki Olives to make a Green Olive Hummus which I then spread inside a wrap with cheese and lettuce. I then used some Fragata Pitted Black Olives and other veggies to make a fun face and spiralized hair! 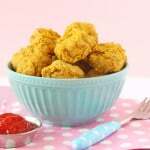 If you give this recipe a try please do let me know what you think. Or tag me in a picture on Facebook, Twitter or Instagram. I’d love to see your creations! 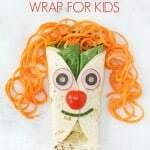 Serve up this delicious, healthy and fun Cheese, Veggie & Green Olive Hummus Wrap for kids and watch them have a giggle with their lunch! Firstly make the green olive hummus by placing all the ingredients in a food processor or blender and blitzing until well combined. If the mixture is a little too thick add some water to loosen it. Spread some hummus on the inside of the wrap and place a large slice of cheese and some lettuce on top. 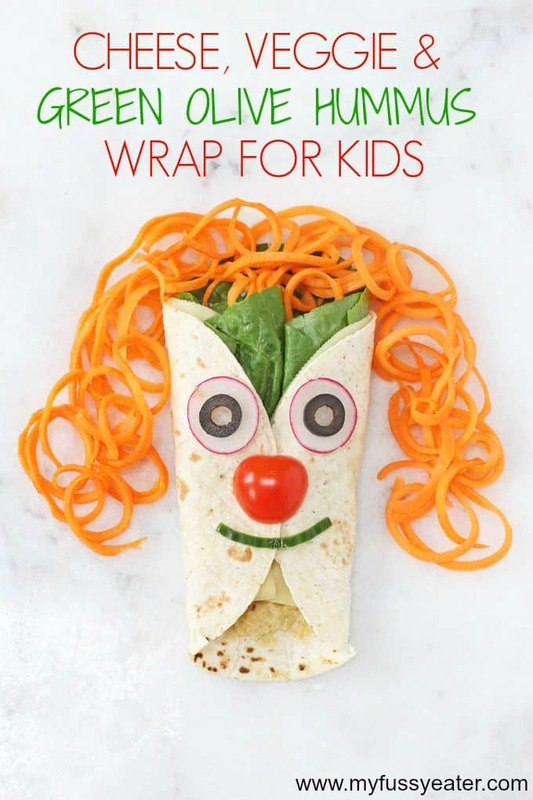 Fold both sides of the wrap until they meet at the front and place on a plate. Secure with a wooden toothpick. 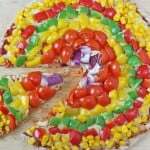 Use the remaining veggies to decorate the wrap. 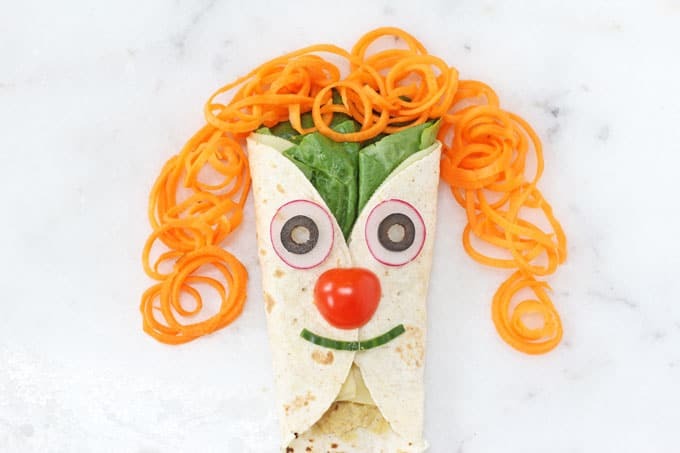 Add the spiralized carrot for the hair and use the sliced radishes and black olives to make eyes. Half a cherry tomato to make the nose and use a very thin slice of cucumber to make the mouth. Remove the toothpick and the wrap should stay in place. 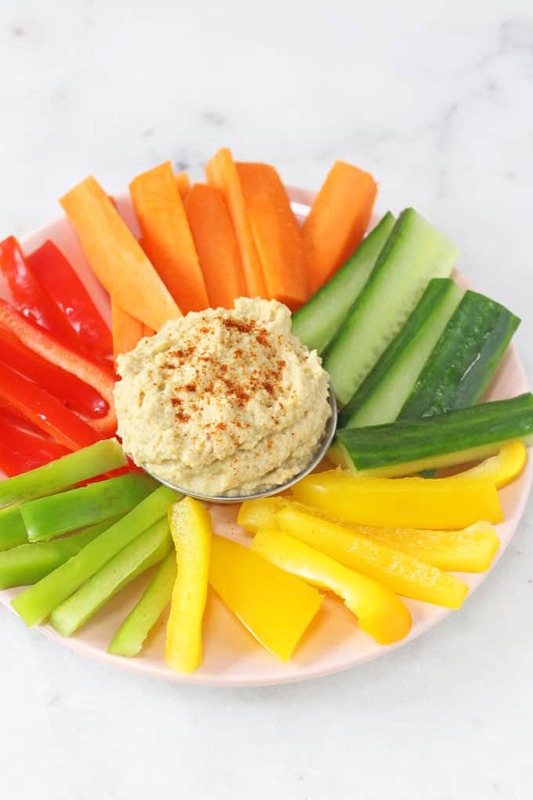 Serve immediately with some crudites and the remaining Green Olive Hummus. Love it! The kids thought these were brilliant. Thanks for such a creative lunch idea that isn’t difficult to make! Yes you definitely have to get a spiralizer Charlotte. 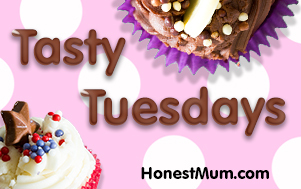 They are such a brilliant invention and make getting veggies into my kids so much easier! Ha ha1 It didn’t last long in my house It was wolfed down! Another good one! You’re so creative – maybe these will help me with my little man.